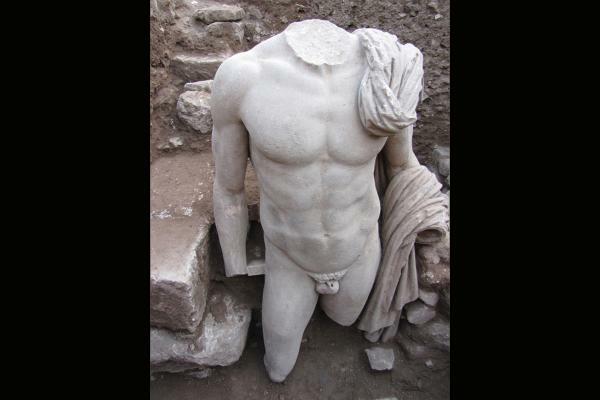 It was found Tuesday, October 4, 2011, just 50 cm below the ground, embellishing the corner wall of a Roman Villa, a few yards from the Small Theatre of Ancient Epidaurus. 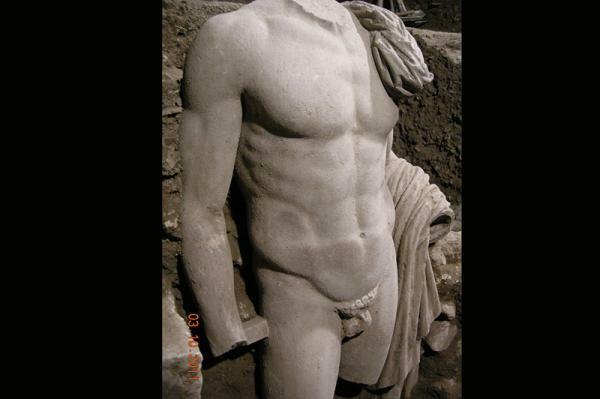 It is the trunk of a statue from the Roman era and was found in a makeshift building. It represents a naked man standing with a cloak thrown over his left shoulder and wrapped in and around his arm. Its size is slightly above normal. Experts estimate that this impressive statue of Epidaurus with its soft body physique, strong muscles and exaggerated characteristic of Roman art was made in the imperial Roman times. Maybe even in the second century AD, when the Emperor Hadrian visited Epidaurus and created favorable conditions in the city.